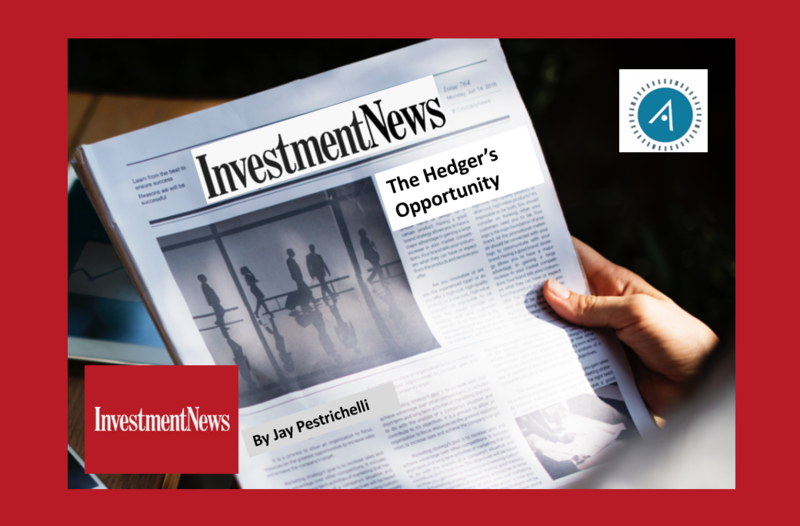 Investment News just published a feature article by ZEGA’s Jay Pestrichelli around a unique opportunity that your clients utilizing a hedged equity strategy may enjoy. Jay refers to it as the “Hedgers Opportunity”. Many individual investors may miss out on the upside due to fear of investing at the wrong time. Others simply can’t take on equity risk due to being closer to retirement. As the article outlines, some of your clients in one of ZEGA’s hedged equity strategies can see the benefits if we see a material market decline. Now don’t get me wrong, for those long the market, up is generally better. But as you can discover more in the article, sometimes not losing as much as the market creates a reinvestment arbitrage opportunity to invest the avoided loss at a much lower valuation. Hence the unique opportunity.